Scores of free fun engineering and technology activities specially developed for children. Fun and games, action and challenges! Imagineering returns with an exciting line-up of organisations, with new companies and a host of new activities, all bringing scores of free fun engineering and technology activities specially developed for children. Packed full with mind-blowing displays and STEM activities, (science, technology, engineering, mathematics) there is something for everyone. There are opportunities to see behind the scenes and learn about the fascinating technology used in modern manufacturing, energy and defence that affects our everyday lives – and keeps our utilities working, ships afloat and planes in the air. Simulators, robots, mechanical challenges and hands-on electronics are just a few of the things to make and do. There is plenty to keep youngsters of all ages and abilities occupied for hours – and adults will be fascinated too! Most of the action takes place undercover so is weatherproof! Try out the Imagineering Experience – learn about the weekly Imagineering Clubs or sign up for a Workshop where youngsters can go one-to-one with an engineer, learn how to use tools and make a working model they can take home. And visitors should look out for fun outside the marquee too with various demonstrations and challenges. There will be the daily fun Imagineering Team Challenge between companies with stands in Imagineering – always great fun to watch. Young visitors will also get a special ‘Passport’ to fill with stamps and stickers as they go round the stands and complete the activities, giving them a chance to enter a Grand Draw for a £100 prize. The Imagineering Fair is organised by the Imagineering Foundation, an education charity encouraging young people to consider engineering as a future career by capturing their enthusiasm at a young age, particularly through fun hands-on activities undertaken in weekly Imagineering Clubs. 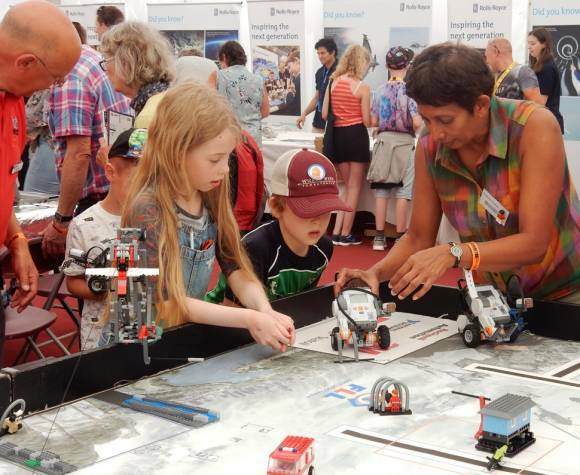 The Imagineering Fair is supported by – Bahçeşehir University; Baker Hughes; Bath College; BMT; Bridgwater & Taunton College; EDF Energy; First Lego League; GE Aviation; IET Bristol; IET Somerset & North Wilts; Imagineering Clubs; Leonardo UK; REME (Army); Rolls-Royce; University of West of England; Wessex Water; Wiltshire College and the Royal Bath & West Show (at the time of going to press).